I have 2 salads I make when we grill out in the summer. We grill out about once a week and I end up alternating between potato salad and macaroni salad. I know there are a million other recipes I can use, but I know I will always have the ingredients for these 2 salads on hand. Cook macaroni. Mix macaroni, peas, pickles, onion, salt and pepper together. (The heat from the macaroni will defrost the peas.) Add mayonnaise and cheese last. Cover and refrigerate two hours. 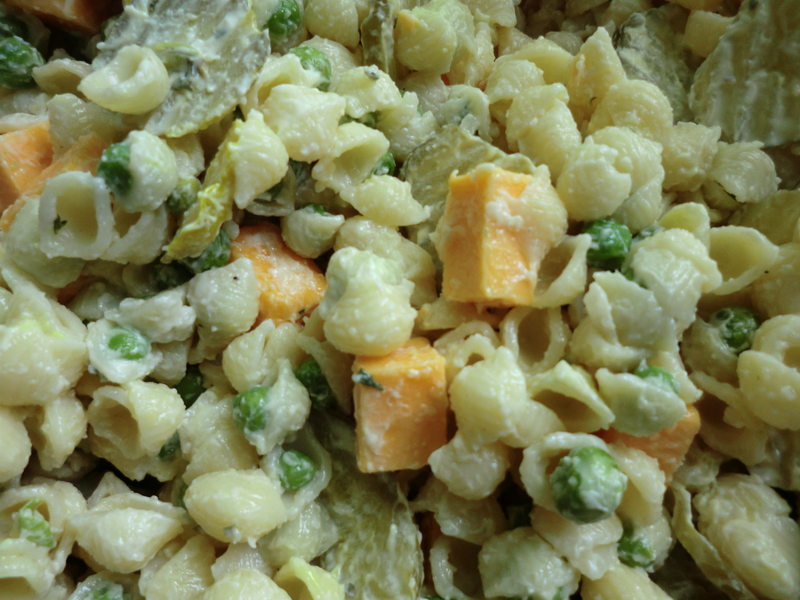 This entry was posted in Food, Recipes and tagged cubed cheddar cheese, Food, macaroni salad, peas, Recipes by Frugal Fish. Bookmark the permalink.